A few atomic age, mid-century videos have popped up on the internet. This video is worth watching for the reversible mid-century couch alone. 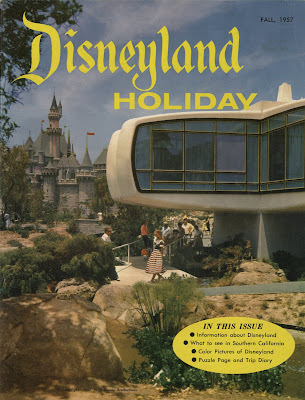 This promotional video from Disneyland shows just how far we've come in a little more than 50 years. Selections from two industrial films from the 50s. First, the Frigidaire kitchen from General Motors' "Design for Dreaming," a promotional film for the 1956 Motorama. Second, a section from film coverage of the Monsanto "House of the Future," located in Tomorrowland in Disneyland.